An apology in advance: it’s going to be a philosophical post today instead of the usual waffle. It’s been another clear day at base camp, apart from the distinctive plume of cloud blasting off the summit. I wandered up a small hill of moraine to the south of camp where a number of memorials have been erected to those who lost their lives trying to climb the north side of Everest. There are dozens of them: the named and the unnamed; young and old; the skilled and famous such as Joe Tasker and Pete Boardman, who went missing on the Northeast Ridge in 1982 and will be written about for many years to come; and the unskilled and unknown who perhaps had a line in their local paper a few days later. Everest doesn’t care who they are: they’re all the same to her. For me the most poignant memorial is the one to the 23-year-old French snowboarder Marco Siffredi. He reached the summit – a great achievement – and then snowboarded down the Norton Couloir. I don’t know what was going through his mind when he returned the following year to snowboard down the much steeper Hornbein Couloir. Did he still feel he had something to prove, and if so, to himself or to other people? 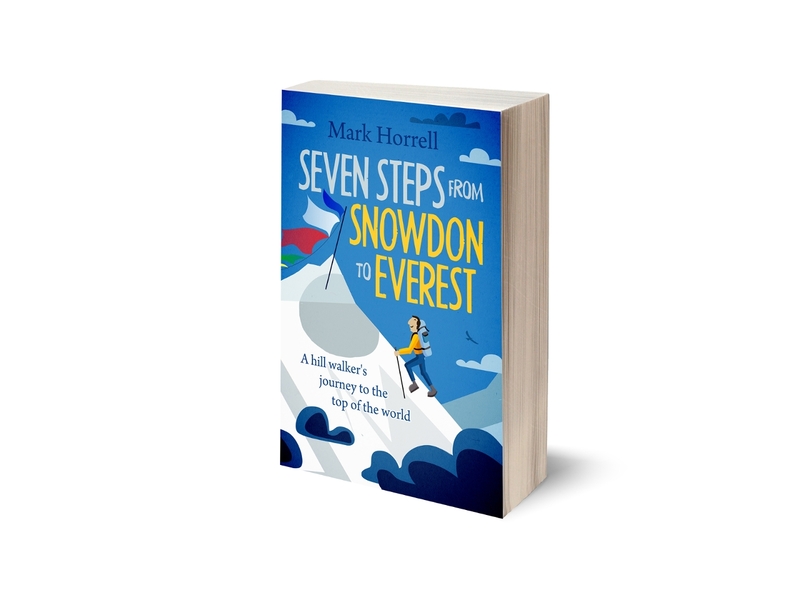 Perhaps the Norton Couloir had been too easy and he felt he needed more of a challenge. Whatever, he reached the summit for a second time, but somewhere down the Hornbein Couloir the mountain claimed him. There are all sorts of people on Everest again this year, and we’re all here for different reasons. For example, here on the north side a team from the Indian Army is intending to ski down from the summit. On the south side, and to much publicity, a number of British women are competing to become the youngest from their country to reach the summit. By definition none of them have much experience of climbing big mountains. It’s hard to believe they know what they’re letting themselves in for, and some of them may not even enjoy themselves. I wish they hadn’t made such a song and dance about it before they’ve achieved their goal, and I’m sorry to say that I couldn’t care less if they reach the summit, but I hope they return safely to climb another day. As for me, I won’t be the youngest or oldest of anything, and I won’t be the first or last. I won’t be the strongest or weakest, and I won’t be climbing the mountain in an unusual fashion or have a gimmick to hold up should I reach the summit. I will need a great deal of help and good luck, for I’m not the best climber, but I’m not the worst either. I’m certainly not the wisest, but I’ll take pride that neither am I the most foolish. This accolade perhaps goes to the inexperienced British climber David Sharp, who tried to climb Everest on the cheap and unsupported in 2006, and 40 people controversially stepped over him as he lay dying on the Northeast Ridge. The well-supported big expedition teams – the ones who usually help out when climbers get into difficulty – had their own inexperienced clients to assist that day. I’m genuinely sorry for his family, but I need to dig deeper into my heart to find any sympathy for him. 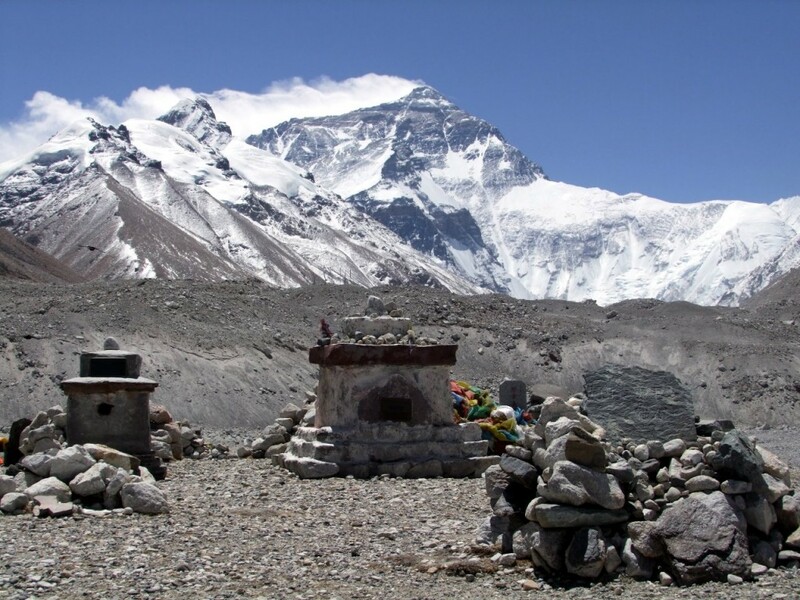 The best known casualty of Everest’s north side, George Mallory, has his own memorial at the back of base camp. He lived in another era, when dying for your ambition marked you out as a hero. It’s different now. I tried to find his memorial with Margaret, one of my fellow Altitude Junkies expedition team members. She’s a 62-year-old Australian who is known as Supergran back home in Perth. She reached the South Summit in 2010 and the summit from the south side last year. Having ticked the mountain off, the only reason she’s back again this year to climb from the north side is because she enjoys climbing big mountains. There were dozens of memorials, but we couldn’t find the plaque to Mallory. Never mind: we have plenty of time here, so I can look for it again. There are many different climbers who come here. Some survive, some don’t, but Everest doesn’t distinguish. In fact, there’s only one category of climber she always leaves unharmed: the wise climber. The wise climber doesn’t mind if he (or she) doesn’t reach the summit, what matters more is he returns alive and richer for the experience. He might return with scars, but the scars will be a valuable lesson. Not everyone whose memorial I saw this morning was a fool. I don’t claim to be any wiser, but I hope I have more luck. 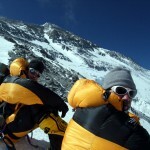 I enjoyed climbing Manaslu last year, and Everest is the next logical challenge. It would be nice to climb it this year, but if not then I can always try again. It’s an ambition of mine, for sure, but a greater aspiration is to become a wise climber and to live a long life. I hope I can achieve that some day, and if I do then what mountains and vistas I will have seen! Greetings from Dubai … I am following your climb and wish you most of all a safe trip home after a successful summit. Your Blog today hit its mark and I agree with you on all issues. Again wish you the best …. The link comes from the blog of a follower climber on the North Face. Heehee, this is Grant’s blog, a fellow member of my team (Altitude Junkies). Easier (and cheaper) just to ask him than visit his website. It’s a painfully slow connection here at Base Camp! 😉 It’s OK, he showed me where the memorial is a couple of days ago. 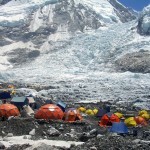 Hi Mark, I just came back from my everest base camp trek in Nepal recently. 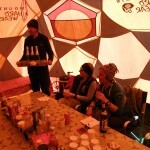 I was looking for general information on some of the treks/mountaineering expedition and came across your blog. 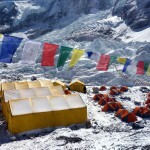 It is amazing reading some of your experiences and just wanted to say all the best for your everest expedition! The high winds are forecast to drop over the weekend, so we’re intending to head back up the mountain for a bit of exercise in a couple of days! A really poignant post Mark and unfortunately especially relevant with the events on Everest in the last few days. Perhaps its time for Everest to be treated for what she is which is a dangerous yet beautiful place a domain for only experienced climbers and not a tourist attraction or a challenge on people’s bucket lists. What do you think? We hope that you and your team got to the submit but more importantly get down safely. I guess I’m a bit of a mountain tourist myself, and certainly no elite climber, and I think it’s kind of nice that the world’s highest mountain is accessible to anyone with enough determination who is willing to put in the necessary training and gain the relevant experience. But I think you touch on one of the problems by using the phrase ‘bucket lists’. This is a term I dislike because it implies box-ticking rather than experiencing. I imagine there are people who climb Everest with no interest in the mountain, the Himalayas, the Sherpas, or indeed Nepal or Tibet, who are only climbing it to earn bragging rights. IMHO, this is climbing Everest for the wrong reason.